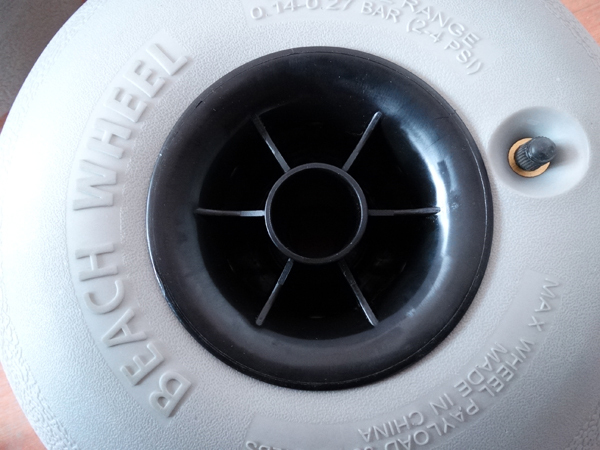 This Balloon Wheel designed for our Kayak Trolley and Beach Trolley. It works much better than most kind of wheels that use for regular Beach Cart. It is low pressure and runs well on sands. Our unique design solved the leakage problems that happened on most other similar balloon wheels that made by some unproffessional maufacturer. 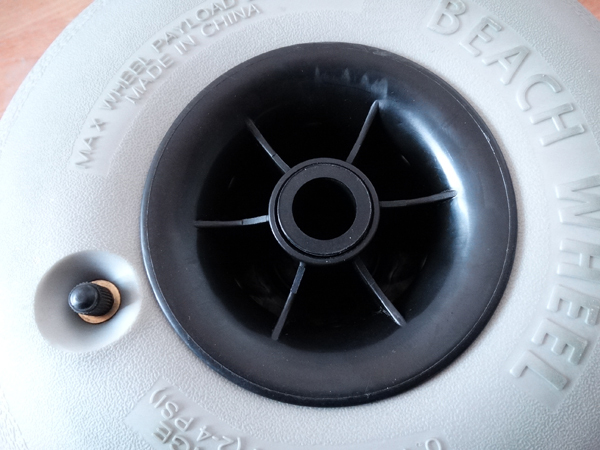 And our Balloon Wheels was tested by the market for more than 7 years and now widely used on most kind of beach trolley. Patented hub design for easy installation. Unique design for valve provent from leakage. Widely used on beach trolley and Beach Wagon, kayak trolley. UV 8 resistance for long life time using. With instruction on one side of the wheel to remind customer how to use. Looking for ideal Inflatable Beach Cart Balloon Wheel Manufacturer & supplier ? We have a wide selection at great prices to help you get creative. All the Beach Cart Balloon Wheel are quality guaranteed. We are China Origin Factory of Beach Trolley Balloon Wheel. If you have any question, please feel free to contact us.